"Remember that one of the stars up there is your star, waiting for you." Recently I’ve been traveling in Mexico, with primary goal to visit and explore many of the ancient sites that the developed cultures, such as Mayas, Zapotecs, Mixtecs, have left for us to get inspired from, and maybe even something more. Prior to that I have been looking more into the ability of the third eye and was doing corresponding practices for its development. I was aware of the many potentials that the chakra of the third eye has to offer, but for one reason or another the most intense experiences relating to it came to me about eight months before coming to Mexico, when I was traveling in British Columbia. It started when I was on a retreat land in-the-making in Ontario. During one group mantra practice in a yurt, I suddenly saw (while having eyes closed) a random hill, from the bird perspective. It was a rainy day, and in my vision the weather where the hill is was also amidst rainy weather. The vision was alive and animated. I knew that what happened was that I tapped into the third eye chakra potential of remote viewing, and that the hill I saw was real and somewhere nearby The only thing that puzzled me was the hill itself, as up until that point I didn’t see any hills in that area, only forests and lakes. Soon after that I discovered that there are indeed hills there. From that moment on, my third eye chakra got very stimulated, to the point that often when I would close my eyes, I would see images forming towards the point of clarity. I tried to use this ability when traveling in British Columbia by having visualization practices where I would visualize myself on top of some of the mountain near which I was sitting, and then trying to see how it is up there and what is on the other side. The results were such that I got more and more convinced in the powerful ability of the third eye. Early on this year I decided to travel to Mexico, with the purpose of visiting the ancient sites of Mayas, Olmecs, Aztecs, Zapotecs, Mixtecs, Toltecs etc. I knew that many of the cultures who lived in Mexico were spiritually more advance than us, and my goal was to visit their sacred sites and cities and to use the third eye to try and pierce through the veil of time. Third eye chakra can be used to look into past, present, future, to distant places on Earth and in the Universe, and with it you can even perceive other dimensions. My goal was to tap into the ability of the third eye to perceive clairvoyantly, so to perceive the golden age of the places I would visit. 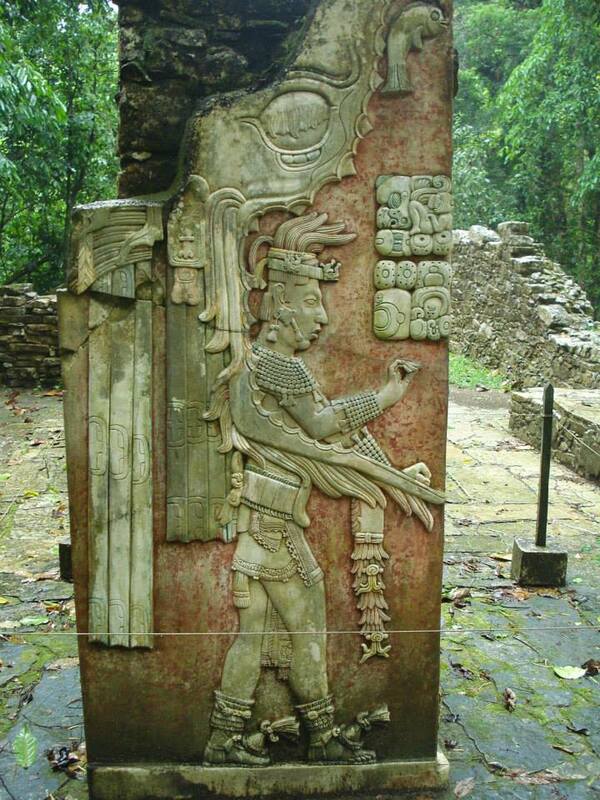 I started by visiting the Mayan sites in Yucatan peninsula, Guatemala, Tabasco and Chiapas. Going up North to Oaxacan Valley I visited the sites of Zapotecs and Mixtecs, and North of that the mysterious cultures in the state of Puebla. 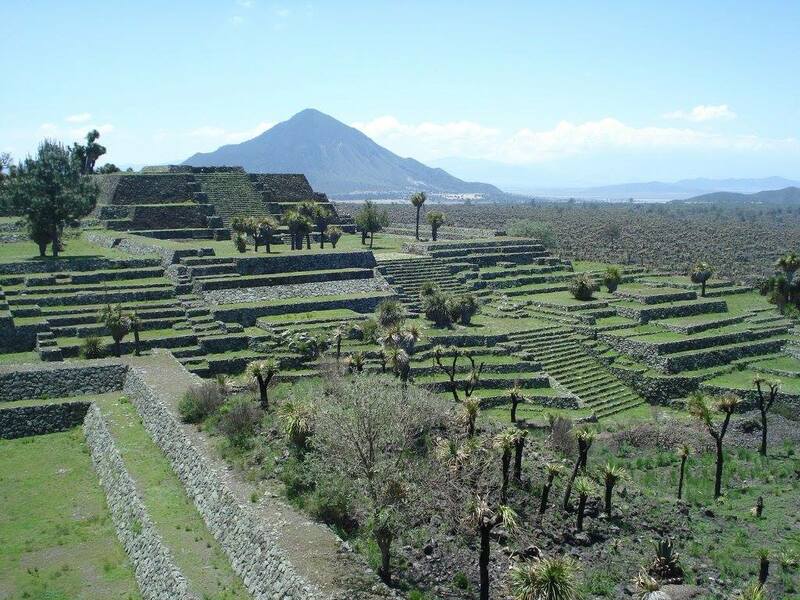 At the end I visited the sites of Toltecs and Aztecs. Sacred site of Cantona, in the state of Puebla. I enjoyed visiting all of those sites, but naturally some of them stood out more than others, and out of that a few had profound impact on me. The more developed a culture of the distant past was, the more prominent is the heightened energy still vibrating at the sacred site. The way buildings are arranged and positioned in relation to each other and various cosmic objects and events, is another indicator of the spiritual development of a culture. Mexican sacred sites that stood out for me the most on this trip were: Monte Alban and Yagul in Oaxaca, Uxmal, Calakmul and Edzna in Yucatan, Teotihuacan (Mexico), Tula (Hidalgo), and Tikal in Guatemala. It is not a coincidence that these sacred sites evoke certain feelings in people. It is my impression that the builders have intentionally built them that way, and that they mastered the science of higher archeology that is connected with human consciousness, and therefore can stimulate a higher type of feelings. It was a wonderful thing to observe people at the sites like Monte Alban, Edzna and Uxmal, and how something in them, something that goes beyond the layer of emotions and thoughts, was stimulated. One example is a woman in her early 60’s, who looked like any other tourists, not standing out in any way. Yet she was looking at the Pyramid of the Magician for a while, and I could clearly see that something in her has awakened, even if only for a short time. That was a wonderful thing to witness. The site I perceived as the the most powerful on this trip in terms of structures of a city, their arrangement, and the energy, was Monte Alban. Walking in that ancient city awakened strong spiritual feelings in me, and it felt like walking on another planet. I knew without a doubt that the civilization that lived there in its golden age was very advance. There too I’ve seen those deeper parts of the psyche manifesting in visitors.